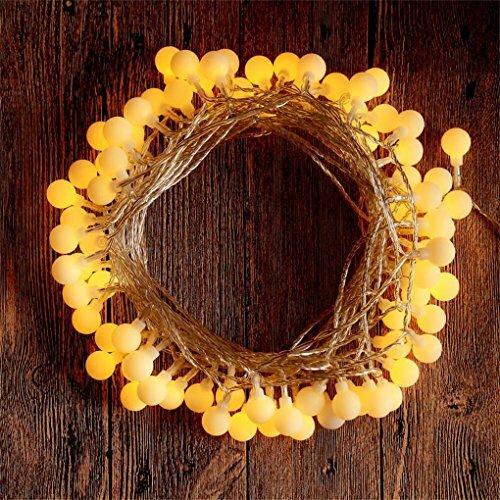 This string lights is very neat and adopts selected materials. 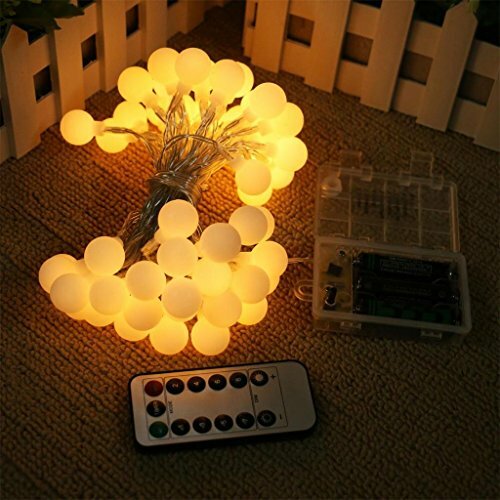 Crafted with bigger and thicken globes(19mm) and copper wires, this battery lights is super safe and friendly to use. 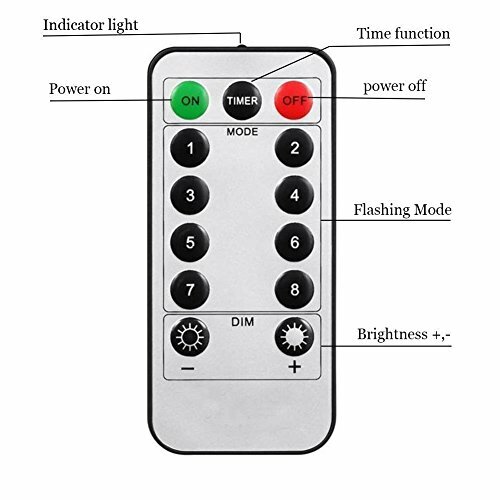 The NEWEST VERSION REMOTE CONTROLLER includes Timing and Dimmer function both this time. 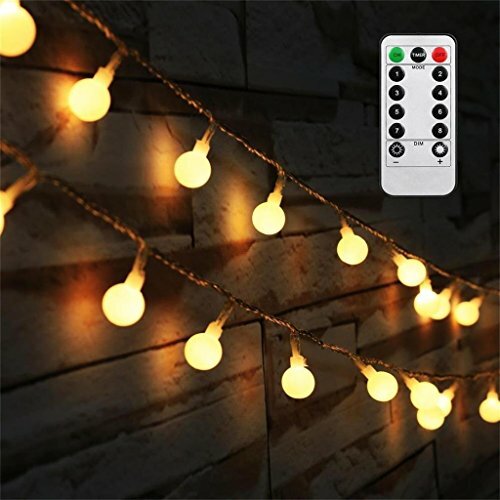 All modes are printed on the battery box; you just press the numbers on the remote, then the lights will honestly work for you. Built-in memory chip recalls the last working modes accurately. Remote Controller Area: 8~9 meters at open areas(please point at the battery box direction to get more intensive control effect). 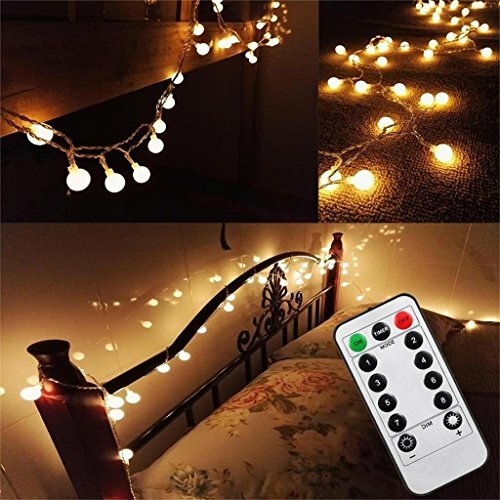 This lights is powered by 3pcs AA batteries(NOT INCLUDED). 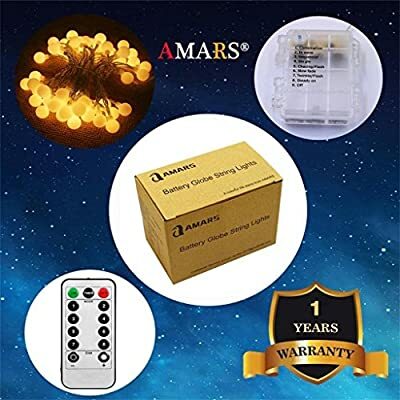 Usually, 3pcs new AA batteries run continuously 10~20 hours. Its working time and brightness are depend on the battery capacity. The brightness will be gradually dim with the decrease of battery power. We suggest it is better to use rechargeable AA batteries to save batteries cost.